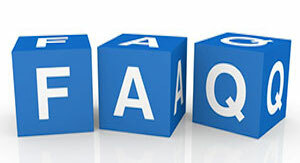 Important Disclaimer: The following FAQ section includes information regarding health provider decisions, health and payment matters—not financial matters. None of the following questions or answers constitutes medical, insurance and/or financial advice. This basic information is provided to assist patients and users in understanding terminology and general information. Please contact your physician, health care provider, insurance provider or attorney for complete information and qualified advice when making important health care and financial decisions. Please contact us at 262.632.5412 if you have any questions or comments, or use our Contact Us page. For your convenience, Erickson’s phone lines are open 24/7. To schedule transportation or get a transport quote, please see our Schedule | Quote Transport page. At Erickson Ambulance, we aim to serve you. What Information do I need to provide the Erickson dispatcher when I call? *Insurance carriers and Medicare require the patient’s social security number and policy number(s) for identification and to process the claim. How does Erickson determine what type of transportation I need? Can patient maintain a sitting position for an extended period of time? If the patient can walk or is in a wheelchair, transportation other than an ambulance should be utilized. If the patient is bed bound, cannot sit for an extended period or needs assistance to transfer, an ambulance is utilized. In all emergencies, an ambulance is utilized. In an emergency, can Erickson transport me to the hospital of my choice or do I have to be transported to the nearest hospital? Sure, Erickson Ambulance can transport you to your hospital of choice based on if you are stable enough for the transport, which is determined by the EMT’s or Paramedics who arrive to evaluate you. The information is then relayed to our medical control and the decision to go to a further hospital is then approved or denied by the medical staff. All private ambulance services use this same protocol. In these cases, Erickson would respond immediately, meaning our EMS professionals would begin as quickly as possible taking the steps necessary to respond to the call. Non-emergency transports are often scheduled in advance and may cover a variety of things as long as the patient qualifies for an ambulance including hospital to hospital transfers (to a higher level of care), change of residence, outpatient treatment, doctor’s appointments, etc. How far in advance do I need to request my services? At Erickson, we are open 24 hours a day, seven days a week, and 365 days per year. If you have a medical emergency, please contact us right away so we can get you to the emergency room without delay. If you are looking to schedule an appointment, we can do so at any time, however, Erickson would like a one day notice if possible to ensure timely performance. What non-emergency scheduled transportation (such as to clinics, regular treatments, etc.) will Medicare pay for? Transport for a patient who has an appointment to be seen for an ongoing medical problem. (e.g., wound care, dialysis, and radiation), and is known as a “medical transfer.” A non-emergency medical transport can also occur when a patient requires transport back to his/her residence at the end of a hospitalization. Medical Necessity for all non-emergency transports is required by Medicare, Medicaid and all insurance carriers. What does 'medically necessary' mean for ambulance transport? The lack of an available alternate mode of transportation (e.g., taxi, bus, personal car) or the inability to drive does not satisfy the medically necessary requirements. Non-emergency ambulance transport for convenience or because another means of transportation is not available is not considered medically necessary, and, therefore, not covered. Erickson Ambulance transported me to the hospital. Can I request Erickson transport me back home? 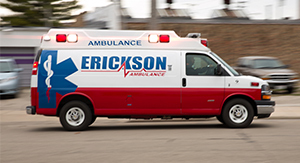 If you meet the medical necessity for an ambulance, Erickson can transport you for dialysis and as long as Medicare, Medicaid or your insurance carrier gives approval. With Medicaid, this approval is recognized by a Prior Authorization Number. At Erickson, we understand the needs of dialysis patients, transport many dialysis patients each week and welcome the chance to be of service to you. Pricing is determined after factoring in a number of variables, such as emergency or non-emergency, ALS or BLS, services required (such as oxygen, IV’s, etc), as well as distance traveled, etc. To obtain a quote for your particular need, feel free to utilize our Schedule/Quote Transport link or our Live Chat feature. If Medicare covers your ambulance trip, you pay 20% of the Medicare-approved amount, after you have met the yearly Part B Deductible. In most cases, the ambulance company can’t charge you more than 20% of the Medicare-approved amount and any unmet Part B deductible. All ambulance companies must accept the Medicare-approved amount as payment in full. Coverage of ambulance transportation by insurance carriers may vary materially based upon a patient’s individual policy. Please check with your carrier to verify your coverage. 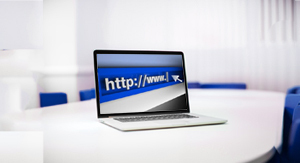 For your convenience, please refer to our Insurance Carrier Links page with this site. It is always a good idea to contact your insurance provider to see what type of transportation eligibility you are covered for. If you have Medicaid/Public Aid you must have a Prior Authorization Number before we can schedule transportation unless your transport is a medical emergency going into an emergency room. If you are looking for transportation, Erickson will not lock you into a contract. If you are with a nursing home, hospital facility or health facility looking to acquire a transportation agreement please call 262.632.5412 or email sales@ericksonambulance.com to talk with one of our marketing specialists. What forms will I or a relative have to sign to ensure Medicare and/or my insurance carrier will process my claim before being transported? Erickson provides comprehensive non-emergency transportation services to patients who need to be safely transported between locations. Insurance plans may cover medically necessary non-emergency transports, but your insurance carrier will determine whether the ambulance transportation meets their medical necessity criteria. Please check with your insurance carrier to understand the specific requirements for payment of non-emergency transport services. Erickson as well as other ambulance companies must know who the patient is. A driver’s license, social security card and an insurance card are helpful to identify the patient and process the claim. If I have Aetna Better Health Insurance or BadgerCare Plus, (Medicaid), what do I need to do before getting an ambulance transport? Your transport must be called in by your provider (MTM Transportation). 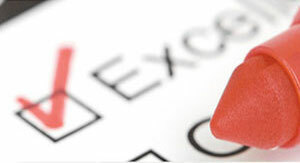 We cannot schedule your appointment unless the transport is called into us by MTM. If you are going to an emergency room you can call us direct at any time (i.e. emergencies do not need prior approval). What if I don't have any coverage? Please call and talk to our billing specialist to discuss payment options as we will try to work with you. 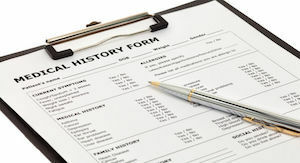 To comply with applicable laws, requests for medical records must be made in writing. In certain cases documentation and signature authorization are needed. You will get a Medicare Summary Notice (MSN) from the company that processes claims for Medicare. The notice will tell you why Medicare didn’t pay for your ambulance trip. For instance, if you chose to go to a facility farther than the closest one, you may get this statement on your notice: “Payment for ambulance transportation is allowed only to the closest appropriate facility that can provide the care you need.” Or, if you used an ambulance to move from one facility to another one closer to home, your notice may state: “Transportation to a facility to be closer to your home or family isn’t covered.” These are only examples of statements you may see on your MSN Statements, which vary depending on your situation. If you have questions about what Medicare paid, call the phone number on your MSN or 1-800-MEDICARE (1-800-633-4227). TTY users should call 1-877-486-2048. According to MedlinePlus,* medical power of attorney gives specific instructions, prepared in advance, that are intended to direct medical care for an individual if he or she becomes unable to do so in the future. 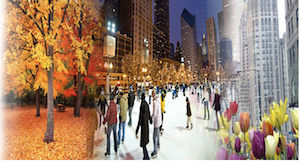 *MedlinePlus is a service of the U.S. National Library of Medicine. According to MedlinePlus, a do not resuscitate order, or DNR, is a medical order written by a doctor. It instructs health care providers not to do cardiopulmonary resuscitation (CPR) if breathing stops or if the heart stops beating. A DNR order allows you to choose before an emergency occurs whether you want CPR. It is a decision only about CPR. It does not affect other treatments, such as pain medicine, medicines, or nutrition. The doctor writes the order only after talking about it with the patient (if possible), the proxy, or family.